What could be better than a classic pullover in cashmere? 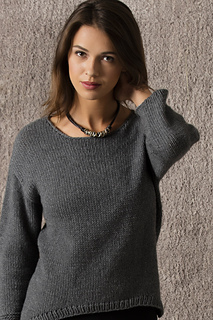 This pullover has a flattering, easy fit with a slightly lower back, notched hems and bracelet length sleeves. Available only at these fine yarns shops.